Zoumboulakis Galleries present the solo exhibition by Anna Fafaliou titled "There is a light that never goes out", which opens on Thursday 10 January 2019 at 8 p.m. 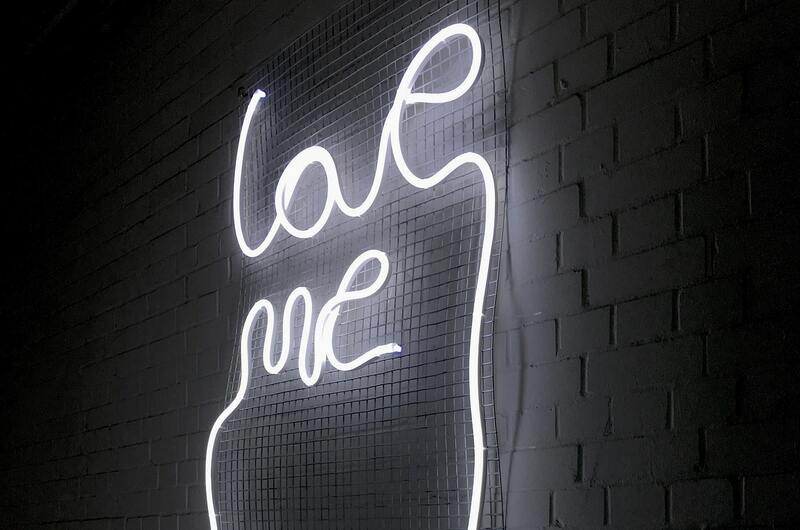 The exhibition displays a series of neon signs and two sculptures. The artist's work explores the relation of objects, memory and identity. Her practice is based on distorting everyday objects, materials and forms in order to generate a new dialogue between them and the spectator. 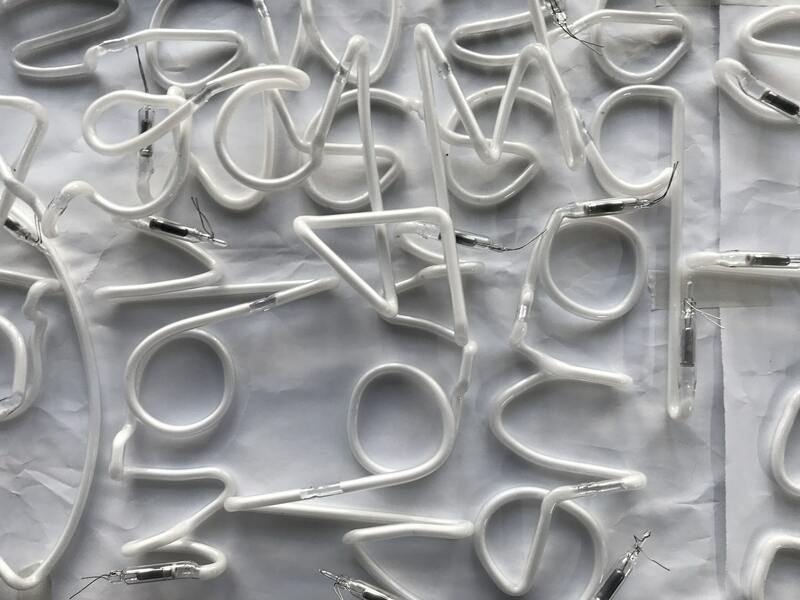 The neon signs presented are part of the series "Few things we left unsaid", an idea which came up during Fafaliou's residency in Los Angeles. When placed in a space these neon signs depict limitations and boundaries, seeing as they refer to emotional limitations and the difficulty of expressing one's feelings. For her sculpture series "bound" and "fold" the artist handles inflexible materials in an effort to alter their identity, making them appear more malleable and fragile just like memories. Anna Fafaliou, Untitled, 2016. 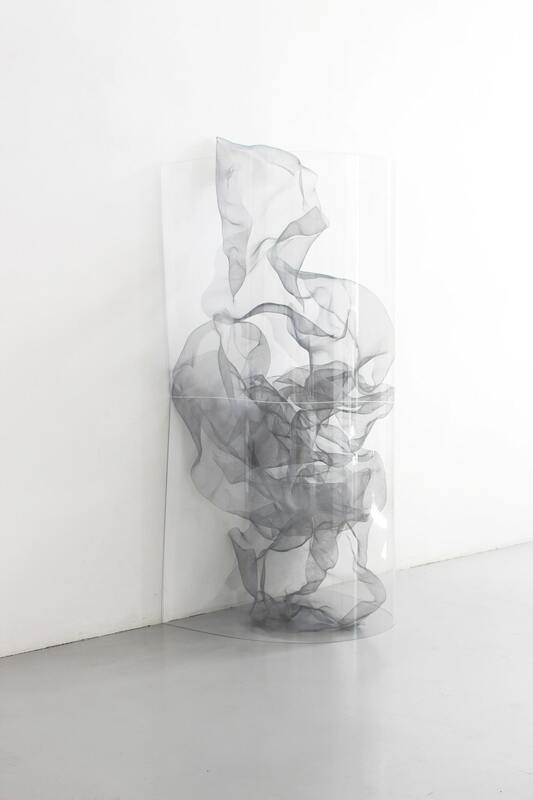 Silver wire, acrylic paint, perspex, elastic cord, 145x60x60cm. Courtesy of the artist Zoumboulakis Galleries. Anna Fafaliou, Fold, 2016. 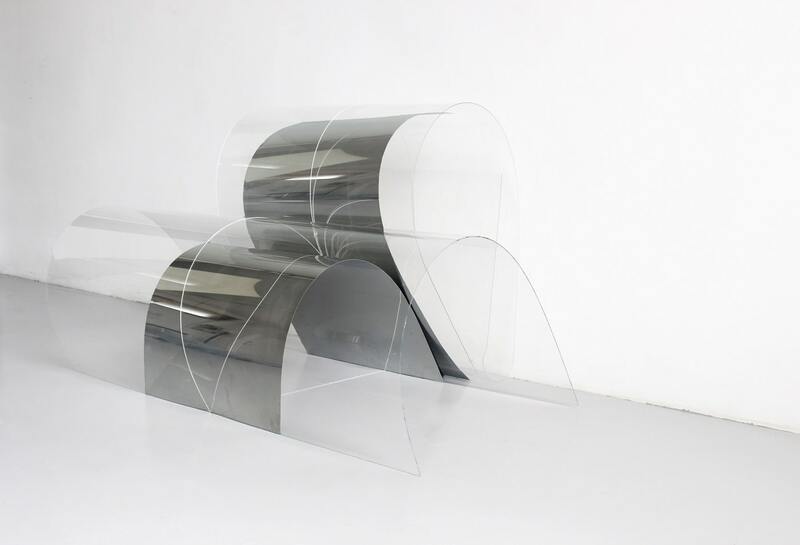 Mirror polished aluminium sheet, perspex sheet, elastic cord, 140x90x80cm. Courtesy of the artist Zoumboulakis Galleries. Anna Fafaliou, Love me, 2018. Neon. Courtesy of the artist and Zoumboulakis Galleries. Anna Fafaliou, 2018. Neon. Courtesy of the artist and Zoumboulakis Galleries.